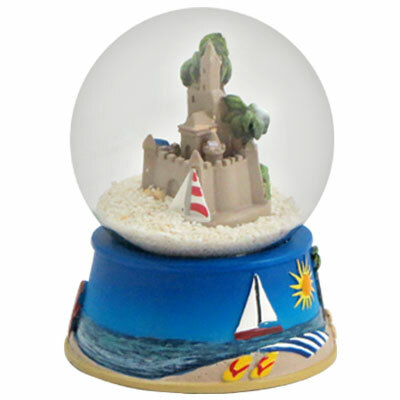 Sandglobe. Glass. 65 mm. Sandcastle.